If you are looking for flexibility and control over your server while sharing server costs, Virtual Private Server or VPS is the right choice for you. Virtual hosting is about dividing the entire server space into blocks with each Virtual Private server block functioning independently having its own RAM, operating system and disk space. It is similar to renting a house in a multi storied apartment with your separate bedroom, kitchen and washroom. With VPS , the main server and network is shared on similar lines as you share resources like the building structure, lobbies, lift and car parking in case of a rented apartment. At Complete Cloud we offer you different virtual hosting packages to suit your budget. At Complete Cloud, we set up the virtual server free for you. Choose the plan you wish to opt for and leave the rest to us. You can sleep at peace with your website hosted on our reliable servers. 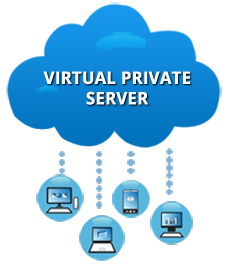 Our Virtual Private Servers allow you to host multiple accounts without any restriction. Get full root access and one IP address along with our packages. Also you need not be a technical expert to understand the working of our user friendly interface. We provide you nothing less than the best. Get faster page loads with 99.9% uptime with our high class Sydney based data centres. Install the software you require and in the way it works best for your business. With VPS you have the flexibility to customise your server environment as per your specific business needs. With our scalable virtual servers you need not worry about your IT infrastructure as your business keeps growing. Our servers can be easily scaled up or down according to increase or decrease in web traffic. We have packages to suit every business and budget need. With our virtual private servers, you have the flexibility to customize your server space; CPU, RAM as wells as your disk space according to your business requirements. Get details about your server performance, peak load timings and other trends. With our easy to understand reports you can keep a complete track of your server and make necessary modifications. We know the tricks of the trade well. Our experienced technical team can get your website up and running super-fast in case of any expected server issues. You are never alone with our technical support team available round the clock. Contact us over phone, email or chat anytime that you require resolution to your queries.